In addition to iOS (and smaller Apple Watch and Apple TV updates), Apple also updated OS X and iTunes for the desktop, bringing in a new look and possible fix for your music library. OS X is now at version 10.11.5, and fixes a Spotlight issue for high CPU consumption along with a few other niche changes. If you’ve got an early 2016 MacBook, there’s a Bluetooth fix for third-party devices. 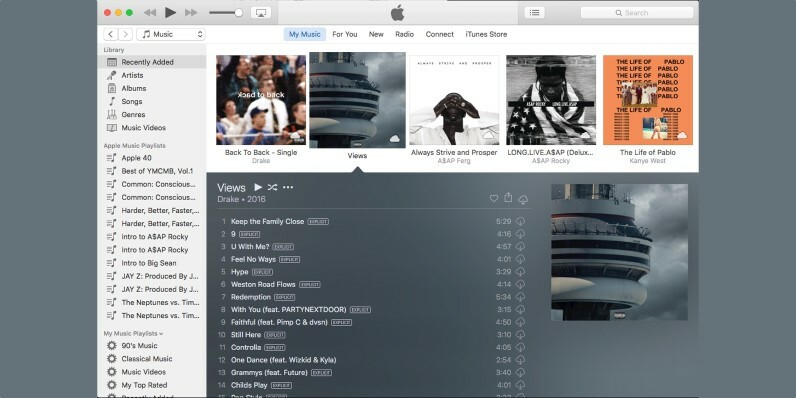 With iTunes, Apple has updated the store layout to be a bit more iOS-ish. On-screen buttons and menus are a bit bolder, and things like your profile have been buried at the bottom of the window. When you view things you’ve downloaded or purchased, there’s a new sidebar for easier discovery and navigation. It also helps with building Playlists. What we’re not sure of is if Apple packaged a fix for Apple Music, which is randomly deleting owned music from the libraries of some users. Apple previously acknowledged the issue, but said it couldn’t reproduce the problem.